The perfect dressing table accessory for storing makeup brushes, pencils, mascaras and lipglosses. 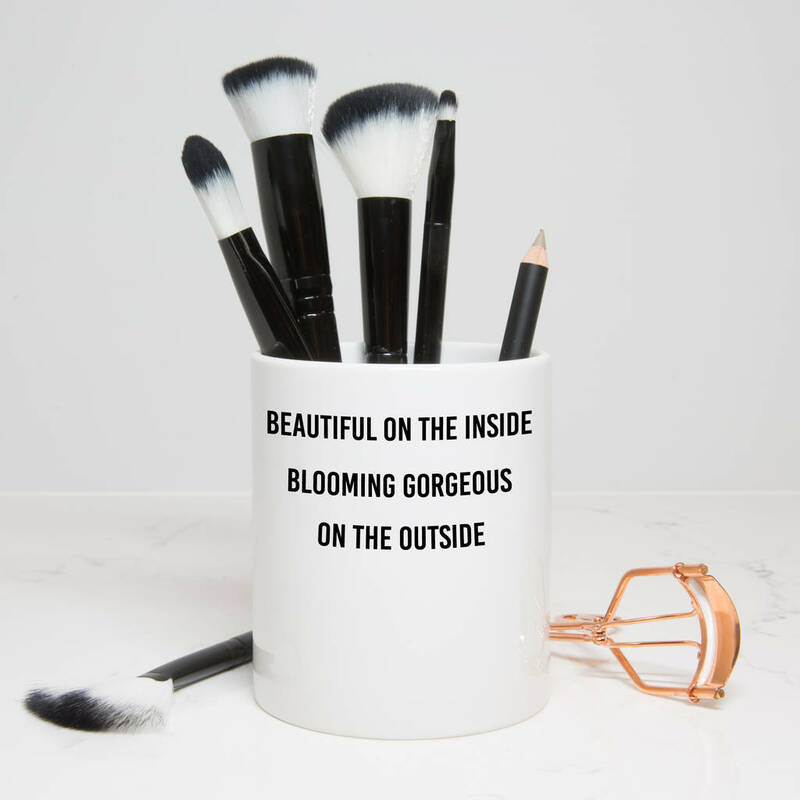 The message on this lovely storage pot reads "Beautiful on the inside, blooming gorgeous on the outside". Our makeup storage pots make a perfect gift for the one you love on Valentine's Day, for a birthday gift for a bestfriend or Sister or as Thank You gifts for your Bridesmaids. 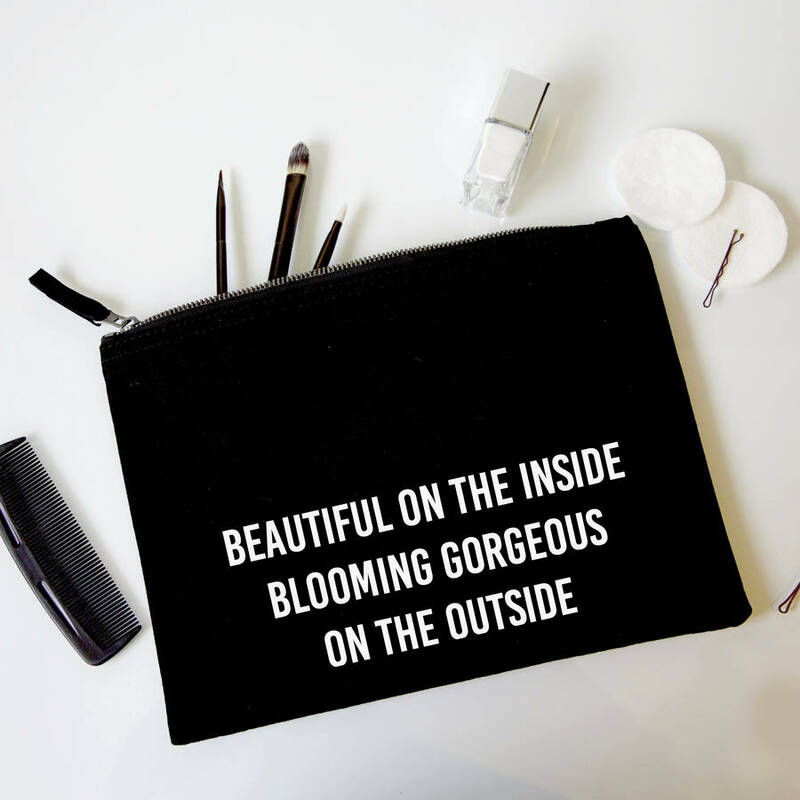 This design is also available on our matching makeup bag.